We have to admit, it hasn’t been the best few weeks for us Brits in some ways; the weather’s been distinctly more winter than Spring/Summer, there have been publicised scandals a-plenty and our man Murray failed to win Wimbledon - again. With this in mind, we think it’s time to cheer up and celebrate the best of British art and culture this summer – and fortunately there are some great exhibitions on at the moment which can help us do just that. 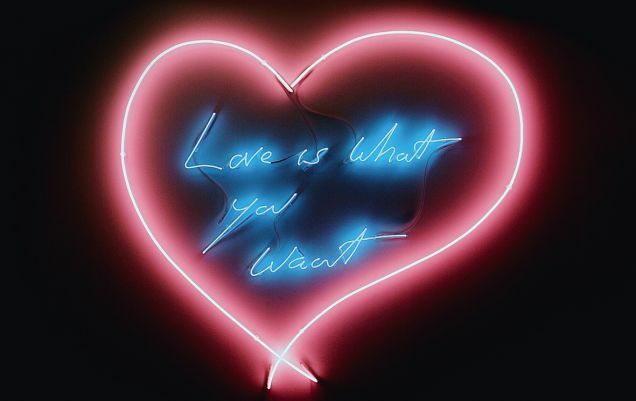 An icon of modern art, Tracey Emin's latest exhibition ‘Love is what you want’ is a perfect way to embrace the best of British creativity; it’s arguably the best collection of all her work to date. On at The Hayward Gallery, the exhibition features painting, drawing, photography, textiles, video and sculpture and reflects on a whole scope of Tracey’s thoughts and emotions over her long career. ‘Love is what you want’ is on at London’s Southbank Centre until 29th August; tickets start from £7.50. Ultimately well worth a visit. 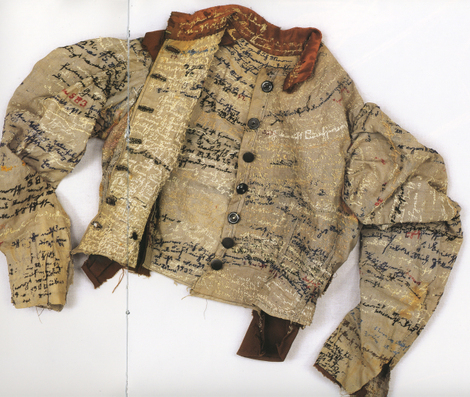 And if that leaves you wanting more artistic inspiration, why not venture to Mayfair to visit Rosalind Wyatt’s literary exhibition, Gallery of Words? 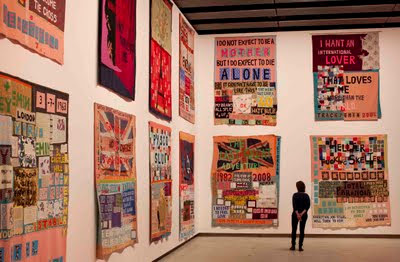 The British artist has launched a pop-up gallery exhibiting collage, stitch and interior design work, with the aim of celebrating the beauty of words and their forms. On until 30th July in South Audley Street (and free to visit), Wyatt has embraced her skills as a calligrapher to create an exhibition full of written, spoken, performed, painted, crafted and even eaten words. Yes, even eaten; in one of her most creative pieces to date, Rosalind’s collaborated with the master chocolatier of Rococo chocolates to create ‘chocalligraphy’ - a new craft which we must admit we like the sound of!